This is a miracle in the middle of Montmartre: Picturesque? No, paradisiacal. On 23 Avenue Junot you’ll arrive at a first gate. Once it opens, you walk down a hidden, cobblestone passageway nicknamed “Le passage du Rocher de la Sorcière” (The Witch’s Rock Passage). Just in front of the rock you have to ring at a second gate. It conceals a white townhouse in the directoire style surrounded by a small garden, an oasis of peace. This is how you might picture the French countryside, but definitely not a buzzing part of Paris. L’Hôtel Particulier is indeed very special, it’s the kind of place where you arrive and you feel you could stay for the rest of your life. When this happens, it’s usually because a place has a soul. 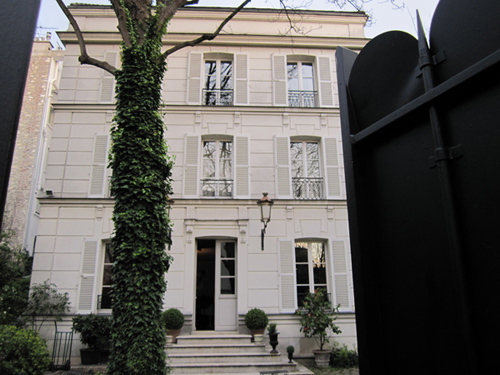 And it was Morgane Rousseau, a vivid, art-obsessed women, who gave the house back it’s soul. When she bought it some years ago, there was nothing left, no soul at all, she says. But she and Frédéric Comtet transformed the white country house into a small, luxury Hotel with only five rooms and suites. Each one is different, each one special. 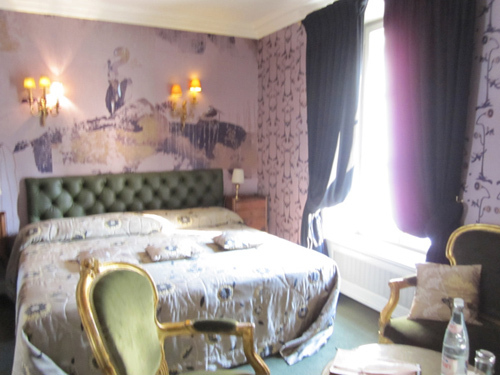 Take number 4, the “vegetal room”, where the artist Martine Aballéa has designed wallpaper from nature photographs. 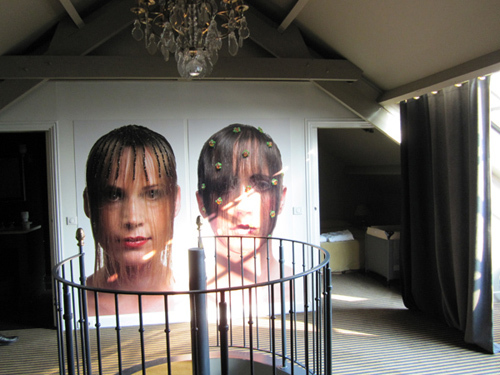 Or, if you’re with family, go for the Loft, a 85 square meter suite under the roof, where a Napoleon III bathtub sits in the middle of the room, amidst photographs by Natacha Lesuer of two women’s faces, each hidden by a mysterious curtain of hair. And don’t miss David’s cocktails at the Bar. He is rethinking cocktail-culture, serving old Hollywood-style drinks and reinventions. Like “Le rocher de la Sorcière”, inspired by the real witch rock of the passageway. But after that you’d better sleep over. Honestly, if I should ever need a hotel in Paris and if I were, well, let’s say, not rich, but at least kind of wealthy, I would choose this one.